I am excited to share this exclusive interview with a highly dedicated autism advocate who touches many people’s heart, including mine! I find a lot myself in his words . . . maybe you will, too! Hello Bryan. Thank you so much for being here. I have admired your online advocacy work and presence for years now. You are a kind, transparent, and powerful person, who isn’t afraid to be vulnerable. I appreciate you being an autism advocate, as do many others in the autism community. Can you tell us a little about yourself. Where are you from and how did you get started in autism awareness and advocacy? Some of you may know me from the Asperger’s Syndrome Awareness Facebook page as Bryan with the smiley face and love heart signature (Bryan 🙂 <3 ). I was diagnosed with Asperger’s at age twenty three and I’m almost twenty six now. It’s still a new journey for me. 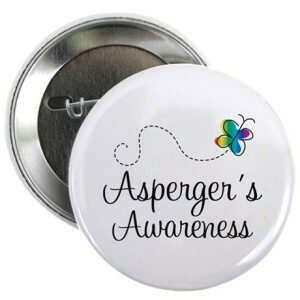 Despite my diagnosis, I found out about Asperger’s when I was seventeen; but due to issues, mainly with anxiety, travel to get to the closest professional for diagnosis, and fear of the unknown, I put off perusing anything for a couple of years. Realising there are other people out there like me, I wanted to create a safe place for people on the spectrum, their families, and anyone that wanted to find out more about Asperger’s. I did, and five years later I run one of the biggest online communities dedicated to all things Asperger’s. It’s still unbelievable to this day, but I’m so grateful to everyone for their continued support. How do you identify as someone on the autism spectrum (Aspie, autistic, etc.)? I identify first and foremost as Bryan Chandler, not someone with Asperger’s, an Aspie, etc. My diagnosis is a way for me to explain my unique way of thinking to those that may not understand. 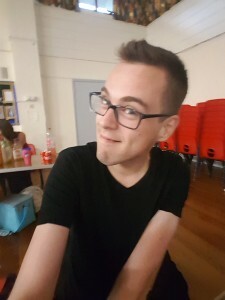 On the other hand, I am proud to say, ‘I have Asperger’s,’ because after hearing everyone’s stories on a daily basis, via my page, and doing some obsessive research, I have come to realise there are just as many positives with the condition as there are negatives, but please just call me Bryan; that’s who I am. You know 1000s on social media. What would you say your advocacy page is primarily about? My page Asperger’s Syndrome Awareness is dedicated to raising awareness of Asperger’s, primarily in a positive light, but also focusing on the negatives; so those joining our page are able to grasp the bigger picture. I used the term ‘our’ page because I’m just the facilitator (along with my amazing editors that help out), but ultimately the page is for everyone. It is yours and hope people continue to gain support from what has been created. What about your personal life face-to-face? Do you have a support network and kind friends who live close by? What have you found the most rewarding and difficult about friendships? Growing up I didn’t have any friends but now I’m thankful to have the best friends I could possibly ask for, and a great job too! It took a lot of work for me to get where I am now but positive things didn’t just throw themselves my way. It’s really difficult and I’m not going to sugarcoat it. But if you have a dream, a goal, an ambition, then please keep living it, reach out and do your thing to your greatest potential. What are some of the most memorable statements or events you shared and received on social media related to autism and Aspergers? Was there any one person or any one situation you were particularly touched by? What led you to get a diagnosis? I wanted to know for certain whether I had it (Aspergers) or not, so I could confidently continue my advocacy dream. It’s a dream of mine to become an Asperger’s advocate and it makes me so happy to know that is starting to come true. Can you tell us a bit about your interests and passions? What do you like to do in your spare time? Are you comfortable with the term ‘special interests’? I am, and have a few of my own. Maybe we can chat over coffee sometime and have a long-winded discussion about our special interests. Asperger’s is a special interest to me, which is why I’m so passionate about talking about it and raising awareness on a daily basis; it increases my confidence and empowers me to be the best I can possibly be. My second special interest is…. Britney Spears…. so yeah, as you can tell they are so much alike. See, people with Asperger’s can use sarcasm just as much as the next person. What would you say is your best attribute as an autistic individual? What would you say is the most challenging aspect of having autism as an attribute? The worst aspect of having Asperger’s, to me personally, is the anxiety and it stopping me from communicating as effectively as I would want to; and I’m sure many others can relate. Being stuck inside the house, despite having a million other jobs to do, and then it leading to depression; it’s a vicious circle of negativity which eventually passes. But, during the moment of feeling that way, it really does have a horrible effect. The best aspect of having Asperger’s is my attention to detail, intelligence and ability and passion to want to help others be the best version of themselves. As Asperger’s is a special interest of mine it helps me push forward and help people in the best ways I know how, through awareness, acceptance, and love. As you know, one of my special interests is autism and employment, and I am writing a book on the topic. I’d be curious to know, do you currently hold down a paid job? What types of studies and work have you done in the past? Any personal thoughts on your own work experience? I do currently have a job. Yes. I work for a charity called Learning Links which helps people get from where they are to where they want to be, through education and training. We help people get back into work, help parents connect with their children by approaching situations from a different angle, and help over-50’s overcome barriers and get into work. I deliver small talks to some of our parents on Autism/Asperger’s and how it’s not the end of the world but the beginning of a new one. Putting a PS4 game in a X-Box wouldn’t work, but it doesn’t mean it’s broken, just a different operating system. I work in marketing for Learning Links and they are very accepting of me. Unfortunately, I had to drop out of college, due to how I was feeling at the time, but that was years ago and have come so far since then. What are your thoughts on employment as it relates to autism? I think it’s equally important for your employer to impress you, not just the other way around. People with Autism can do anything anyone else can do, job wise, but it really does depend on the individual. If you’re reading this and you are on spectrum please follow your passions, follow your dreams and you can achieve anything. What advice or encouragement would you give autistic folks looking for meaningful employment? Follow your heart and you will get there. So many people tell us what we can’t do; it’s about time people tell us what we can do for a change. “I believe autism is a condition, an identity, and a culture.” What are your thoughts on this statement? I like it!! Although it doesn’t define every aspect of who we are (because hey, I’m Bryan, not a diagnosis), it does play a significant role in our identity and culture. Self-acceptance and self-love is the most important thing, I think. It is really important to accept your diagnosis and love yourself for who you are as there are so many other people out there like you, like us. What is the hardest challenge you have faced being in the public spotlight? Making mistakes and having it out there on social media for all to see. This can be both positive and negative, as it helps for parents and individuals with Autism/Asperger’s to see I’m real. But equally there’s a lot of people out there that just like to bring you down and misunderstand your intentions. Ultimately I want to raise awareness and support people like me in the best way I know how. There’s no hidden meanings in my words and I really wish people would know that. Keeping it real is something that our followers have always loved about our community and no matter where the future takes me, I will still be Bryan, and it will stay that way. How about your love life? If it’s not too personal, how is that going? What have been the ups and downs? And any insights for us big-hearted folks when it comes to relationships? Anything you have learned thus far? *laughter* No. I’m single (for now). But we can fall in love just like anybody else and I have been in love. We can feel love, happiness, sadness, empathy, just like anyone else. It may be expressed differently but we can still feel all the same emotions. Do I have any tips? Find someone you feel you connect with, take chances, and do your thing. Who do you look to for inspiration and support? Everybody and everything. There is a story around every corner, every person, every animal, smell, sense etc. that has a story worth telling. I listen with an open mind and open heart, and gain inspiration from the world; it’s full of inspiration; it’s just knowing where to look. You inspire me right now! I hear you are a big fan of Britney Spears? Can you tell us a bit about that? – YES, I get you, Britney. We are on the same wavelength. She then made one of the greatest comebacks the world has ever seen and to this day she’s still beloved by millions of people around the world. She shows that no matter what we are going through right now, we can accomplish anything. So, Yes. Britney Spears is my greatest inspiration and I’m proud to say that. Out of curiosity, any favorite foods? Or funny food combos? Do you have any sensory issues with food? Honestly, no. I don’t have any food issues – well fine, maybe I don’t like specific food touching…. or I don’t like drinking the bottom of drinks…. or sharing cutlery at home… or….. okay maybe I do have a few. How about sensory issues in general? What do you find the most burdensome? In all honesty, I don’t really have that many sensory issues; however, one I do have an issue with is filtering out sounds and concentrating on one particular person and/or environment. In situations like this, I tend to take five minutes for myself, with a pair of headphones, and chill out, until the focus is primarily on one sound. Having sensory issues is not easy but, with the right understanding and coping mechanisms, we can still live fulfilling and happy lives. What would you say you love the most about being autistic? I love being able to meet other people with the same condition as me and noticing the smallest of details before most other people. It is exciting to be able to witness this detail in such a positive light and to find other like-minded people that I can share experiences with. Having Autism definitely has its bad traits but every day I advocate for the positive. And it’s really important to pay attention to what we can do, as there is too much focus on what we can’t. Having Autism can really have it’s beautiful moments. Are there any resources you would recommend for those interested in learning more about autism as it relates to their child or self? My page, as an example, would be a great resource for people with Autism, Aspergers and their family members, etc., as it has proven to connect people far and wide, inspire them to see the condition in a positive light, and help them to see they are not alone; there are thousands of people out there like them. Also the book The Complete Guide To Aspergers Syndrome by Tony Atwood, which is an excellent resource for adults and professionals. For children and teens All Cats Have Asperger’s has been proven to be a popular read. In terms of videos for children, there is a popular one on YouTube from the TV show Arthur which describes what Asperger’s is perfectly. I’ve been studying up on the term neurodiversity. In fact, I had the pleasure of interviewing the Australian Sociologist Judy Singer who coined the term. I’d love your insights. To some, the term neurodiversity is representative of the fact that differences in neurology should be recognized and respected as a social category, similar to one’s ethnicity, socioeconomic class, sexual orientation, gender, or disability. In your own words what would you say modern day neurodiversity means? It means being able to accept difference as exactly that, being different and not defective. Also respecting other people’s unique quirks and ways of life. It’s about celebrating the human race as a whole and loving those around you and accepting that we are not all the same, and that is okay. I love the term neurodiversity because it is an accurate representation of not only Autism and Aspergers but the entire human race. Do you have any other family members who are neurodivergent? I do. Yes. There are some members of my family that have a diagnosis of Autism and some that are highly suspected of being on the spectrum, but they have not yet sought a diagnosis. In the USA, and other nations, there are still many stereotypes surrounding autism. One that I heard told over and over by individuals who contact me is a mental health professional claiming they (or their child) cannot have autism because they make eye contact and have empathy? What would you like professionals in the field of psychology to know about stereotypes and autism? Once you’ve met one person with Autism you have met one person with Autism. Some of us can make eye contact and some of us can’t. It’s okay. Autism is a spectrum and affects everyone differently, some more severe than others, and others may require more support than others. Where do you see neurodiversity heading in the next ten years? Hopefully it’s going to increase a lot more and hopefully there will be greater pathways for people on the spectrum to seek a diagnosis and receive the support they deserve. A little awareness and acceptance goes a long way. Any closing thoughts? And how can we find out what you’ve been up to or find you online? Just one thing. Have you ever noticed how your child’s behaviour may be different at home compared to at school? Well let me tell you about my social battery theory. It can take a lot for us to communicate, so please bear with us. But imagine a battery in your head. It’s currently at 100% and we can communicate just as effectively as you. At 50% we may respond with one word answers, mumble and snap our responses. At 0% we really need to recharge our social battery and cannot talk to you. We feel safe at home so that’s where we choose to charge. Hope that makes sense. Also thank you so much for this interview. It has been fun. Enjoyed every minute of it. This interview was brought to you by Spectrum Suite, LLC. Celebrating Neurodiversity through the arts, literature, and service.